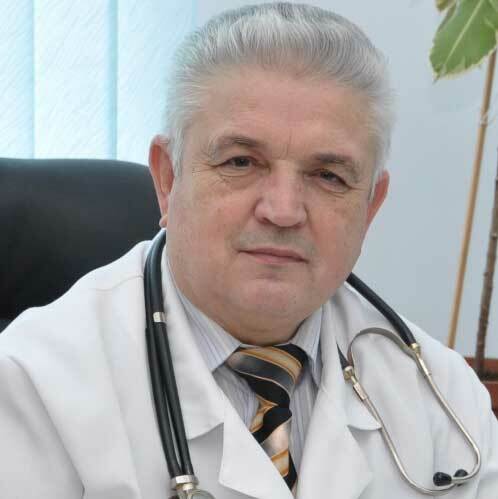 Orest Abrahamovych – holder of Habilitation degree in Medicine, professor, head of the Chair of Internal Medicine No. 1 at Danylo Halytsky Lviv National Medical University; academician of the Higher School Academy of Ukraine, academician of the Ukrainian Academy of Information Sciences; doctor-internist of the highest qualification grade; Honored Doctor of Ukraine; Honored Professor at Danylo Halytsky Lviv National Medical University; member of the specialized academic council on “Internal diseases”, “Cardiology”; head of the task group “Internal Diseases”; co-chair of the Lviv Regional Association of Internists; vice-president of Lviv Regional Association of Gastroenterologists and Hepatologists; member of Taras Shevchenko Scientific Society; founder and chief editor of “Lviv Clinical Bulletin” Journal (Ukraine); member of the editorial board of the journals: Practitioner (Ukraine), Experimental and Clinical Medicine (Georgia), Ukrainian Therapeutic Journal (Ukraine), «Internal Medicine» (USA). Leonid Markin – holder of Habilitation degree in Medicine, professor, corresponding member of the National Academy of Medical Sciences of Ukraine; obstetrician-gynecologist of the highest qualification grade; head of the Chair of Obstetrics and Gynecology at Danylo Halytsky Lviv National Medical University, Honored Professor of Danylo Halytsky Lviv National Medical University; Honored Scientist and Engineer of Ukraine. 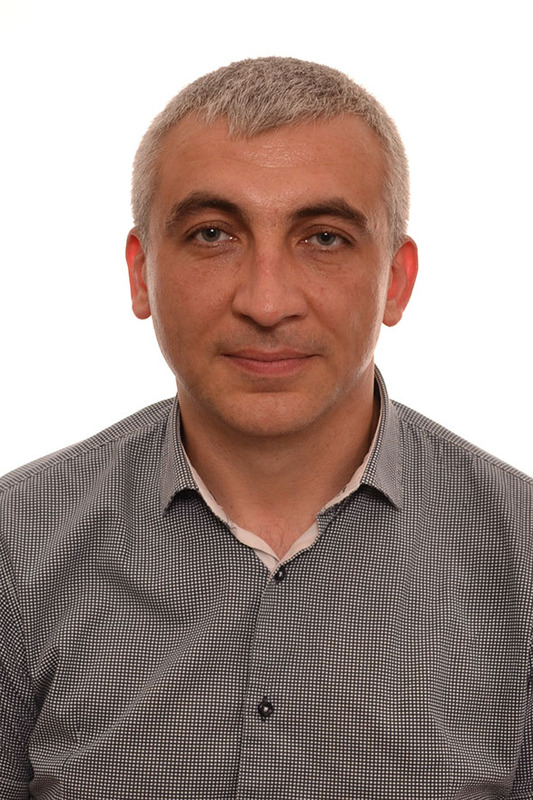 Yulian Kyyak – holder of Habilitation degree in Medicine, professor, academician of the Higher School Academy of Ukraine, head of the Chair of Family Medicine of the Faculty of Postgraduate Education of Danylo Halytsky Lviv National Medical University; member of the European Society of Cardiology, member of the European Society of Pathology, general practitioner-cardiologist of the highest qualification grade, chair of the specialized academic council on “Internal diseases”, “Cardiology”. 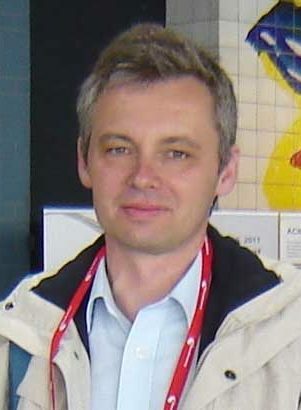 Oleksandr Lutsyk – holder of Habilitation degree in Medicine, professor, head of the Chair of Histology, Cytology and Embryology; winner of the State Prize of Ukraine in the field of science and technology. 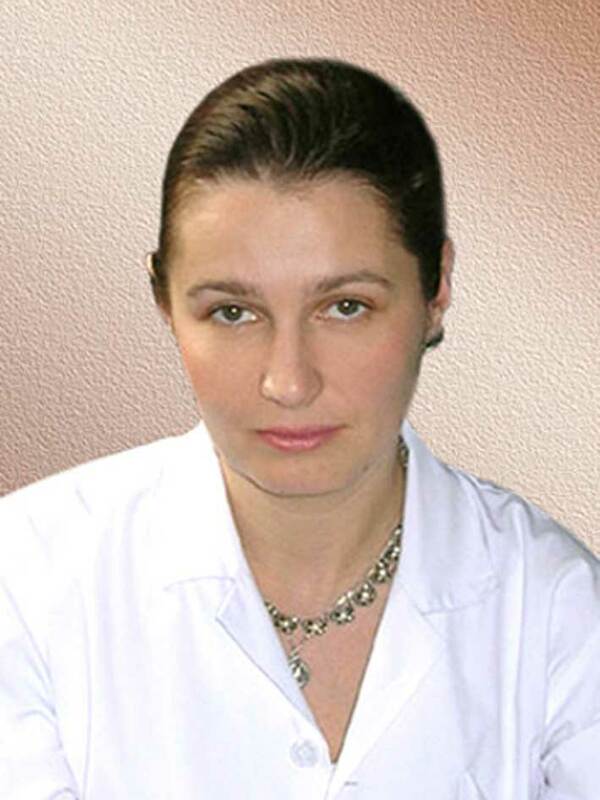 Ulyana Abrahamovych – holder of Doctoral degree in Medicine, associate professor of Danylo Halytsky Lviv National Medical University, general physician, rheumatologist of the highest qualification grade. 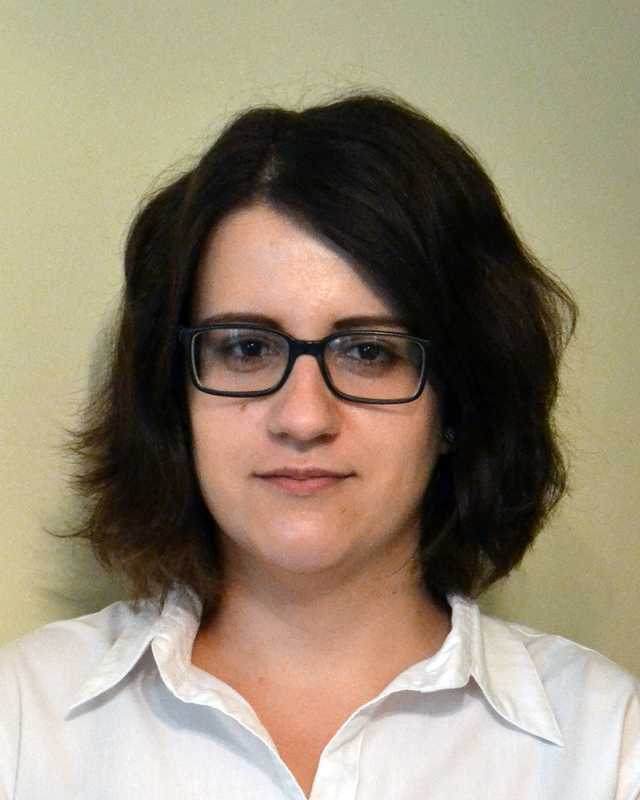 Mar’yana Abrahamovych – holder of Habilitation degree in Medicine, professor of the Chair of Family Medicine at Danylo Halytsky Lviv National Medical University; gastroenterologist, cardiologist, physician of the highest qualification grade. 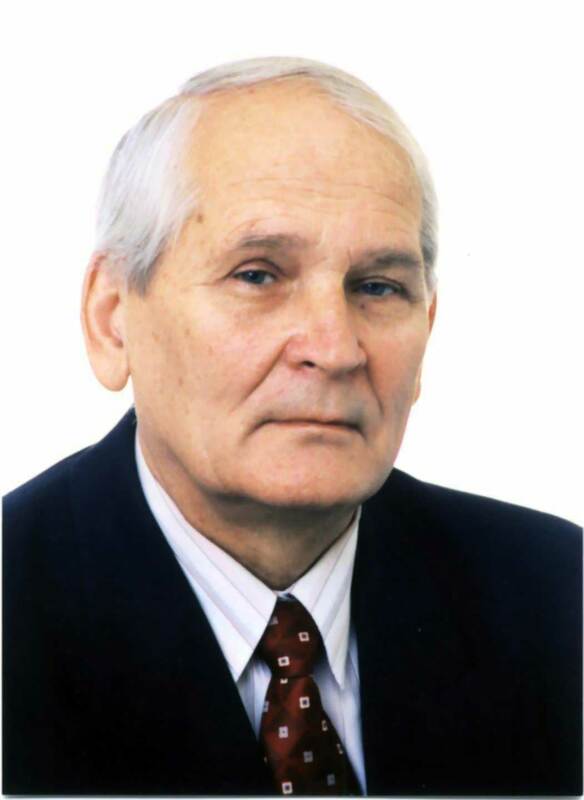 Viktor Andryushchenko – holder of Habilitation degree in Medicine, professor; surgeon of the highest qualification grade; head of the Chair of General Surgery at Danylo Halytsky Lviv National Medical University; head of the profile methodical committee on surgical disciplines of Danylo Halytsky Lviv National Medical University; deputy chair of the Board of Association of Surgeons of Lviv Region; member of the Board of Association of Surgeons of Ukraine; member of the Medical Board of the Research and Methodological Council of the Ministry of Education and Science of Ukraine. 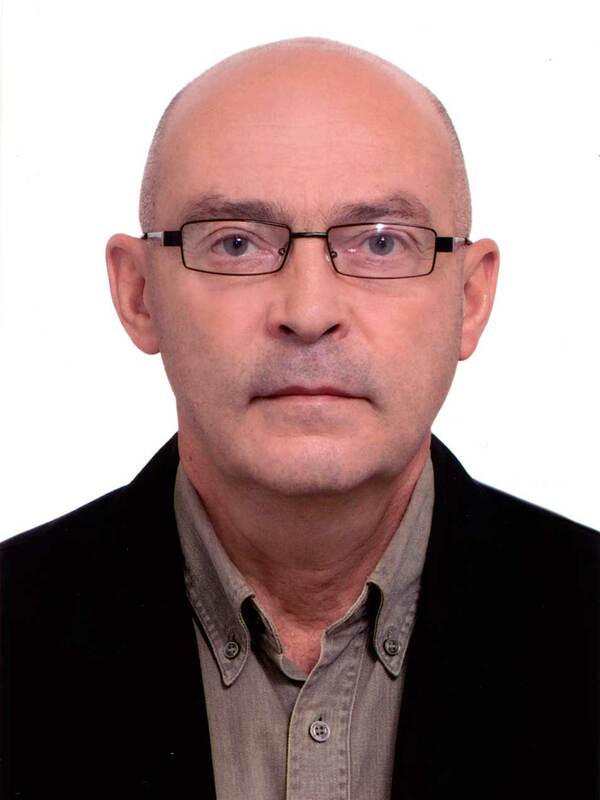 Ivan Chopey – holder of Habilitation degree in Medicine, professor, head of the Chair of Therapy and Family Medicine of the Uzhhorod National University, Honored Doctor of Ukraine, member of the editorial board of the journals “Family Medicine” and “Ukraine. 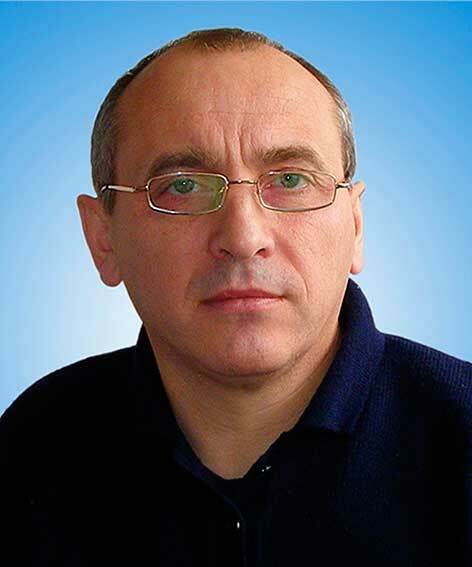 Health of the Nation”, member of the editorial board of the journal “Wiadomości Lekarskie” of the Polish Medical Association, head of the specialized academic council on “Internal Diseases” at the Uzhhorod National University of the Ministry of Education and Science of Ukraine. Valentyna Chopyak – holder of Habilitation degree in Medicine, professor, head of the Chair of Clinical Immunology and Allergology at Danylo Halytsky Lviv National Medical University; general physician, clinical immunologist, allergist, rheumatologist of the highest qualification grade; Honored Professor of Danylo Halytsky Lviv National Medical University; Honored Doctor of Ukraine; Head of the Task Group of the National Academy of Medical Sciences of Ukraine and the MOH of Ukraine in the fields of Clinical Immunology and Allergology; member of the specialized academic council of the National Institute of Phthisiology and Pulmonology named after F. G. Yanovsky on Pulmonology, Phthisiology, Clinical Allergology; Vice-President of the Ukrainian Society for Immunology, Allergology and Immunorehabilitation, head of the Regional Medical Center for Clinical Immunology and Allergology; member of the Central Formulary Committee of the Ministry of Health of Ukraine, member of the European Academy of Allergology and Clinical Immunology (EAACI), member of the World Allergy Organization (WAO), member of the World Immunopathology Organization (WIPO), member of the Polish Society of Immunology, member of the European Federation of Immunological Societies (EFIS), member of the European Association for Standardization (EASI); consultant of the State Expert Center of the MOH of Ukraine; chief editor of the collection “Topical Issues of Clinical Immunology and Allergology”; member of editorial teams and editorial boards of journals “Immunology and Allergology”, “Clinical Immunology, Allergology, Infectology”, “Asthma and Allergy”, “Therapia”, “CONSILIUM MEDICUM”. 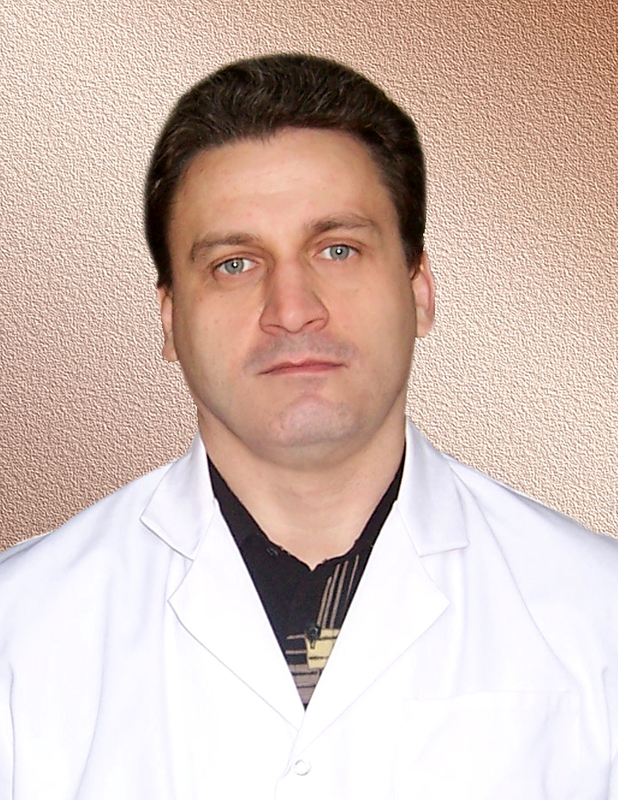 Serhiy Chuklin – holder of Habilitation degree in Medicine, professor of the Chair of Surgery No. 1 of Danylo Halytsky Lviv National Medical University, winner of the State Prize of Ukraine in the field of science and technology; active member of the International Society of Surgery (national representative of Ukraine), International Association of Surgeons, Gastroenterologists and Oncologists, European Digestive Surgery, European Pancreatic Club, European Society for Clinical Investigation, International Ascites Club, International Association of Pancreatology, American Pancreatic Association, European-African Hepato-Pancreato-Biliary Association, Australasian Pancreatic Club; surgeon of the highest qualification grade. 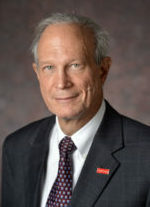 Clifford Omer Rosendahl – MBBS, PhD, Associate Professor, Faculty of Medicine, University of Queensland, Australia; Distinguished Visiting Professor, School of Medicine, Tehran University of Medical Sciences, Iran; Member of Royal Australian College of General Practitioners, Australian Medical Association; Course Coordinator UQ Skin Cancer Program, University of Queensland, Australia; Supervisor of the undergraduate students, Medical School of Griffith University, Australia and University of Queensland, Australia; Founder and Director of Skin Cancer Audit Research Database (SCARD); Course Coordinator UQ Skin Cancer Program IMED7001: Core Knowledge and Professional Practice. 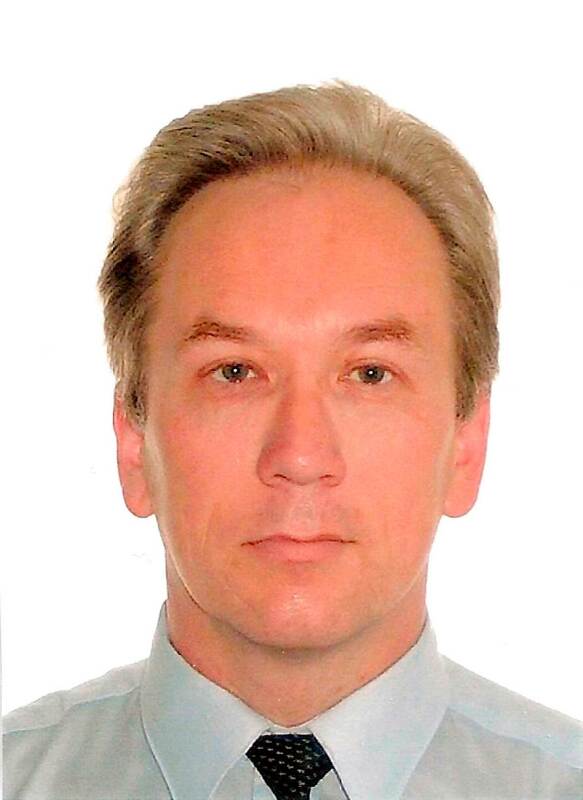 Vitaliy Denysiuk – holder of Habilitation degree in Medicine, professor, head of the Chair of Internal Medicine No. 3 of Vinnytsya National Pirogov Memorial Medical University; Academician of the Higher School Academy of Ukraine, academician of the New-York Academy of Sciences, academician of the Academy of Medical and Technical Sciences of Ukraine; general physician of the highest qualification grade; head of the Regional Association of Gerontology. 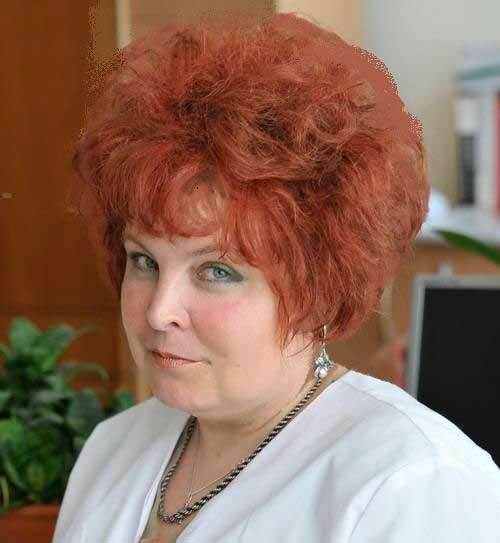 Halyna Fadeenko – Holder of Habilitation degree in Medicine, professor, director of the State Institution ” National institute of Therapy named after L. T. Malaya of NAMS of Ukraine”, member of the Presidium of the Board of Ukrainian Society of Therapists. 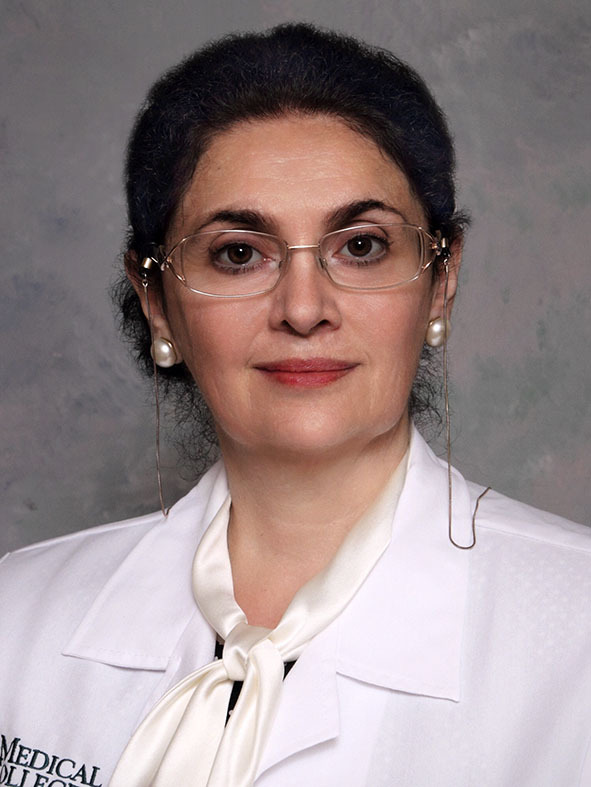 Tamara A. Giorgadze – MD, PhD, MIAC; Professor of Pathology; Director of Cytopathology; Director of Cytopathology Fellowship, Department of Pathology, Member of the Quality Assurance Committee, Program Evaluation Committee, Anatomic and Clinical Pathology Residency, Program Evaluation Committee, Cytopathology Fellowship, Medical College of Wisconsin, Milwaukee, WI, USA. Attending Physician at Froedtert Hospital/Medical College of Wisconsin, Milwaukee, WI, USA. 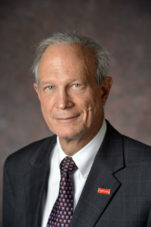 Member of the United States and Canadian Academy of Pathology. Fellow Member of the College of American Pathologists. Fellow Member of the American Society of Clinical Pathology, Member of the American Society of Cytopathology. Elected Member of the International Academy of Cytology, Member of Membership Committee of the Papanicolaou Society of Cytopathology, Member of ASCP Education Work group, USA. 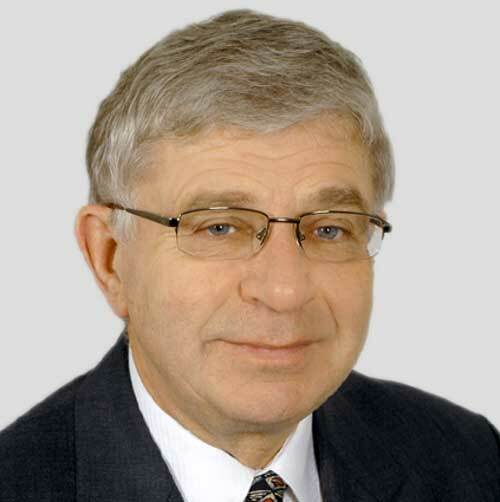 Ivan Katerynchuk – holder of Habilitation degree in Medicine, professor; head of the Chair of Internal Medicine No. 2 with occupational diseases of the Higher State Educational Institution of Ukraine “Ukrainian Medical Dentistry Academy”; physician-cardiologist of the highest qualification grade; head of the Poltava branch of the Ukrainian Association of Cardiology; head of the Poltava Regional Antihypertensive Club; member of the European Society of Cardiology; member of the Presidium of the Ukrainian Association of Gastroenterology; member of the Ukrainian Pancreatic Club; member of the German Association “Gastroliga”. 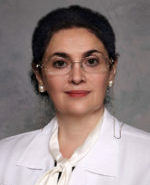 Natalia Kiladze (Tbilisi, Georgia) – holder of Doctoral degree in Medicine, professor at the Chair of Dermatology and Venereology of Tbilisi State Medical University. 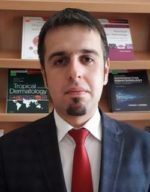 The head doctor of the Tbilisi Clinic “Mardzhani” – Dermatology, Dermato-Oncology and Aesthetic Medicine”. 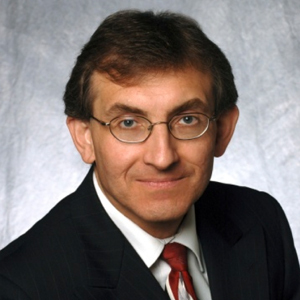 Consulting physician at the National Center for Clinical Immunology and AIDS. 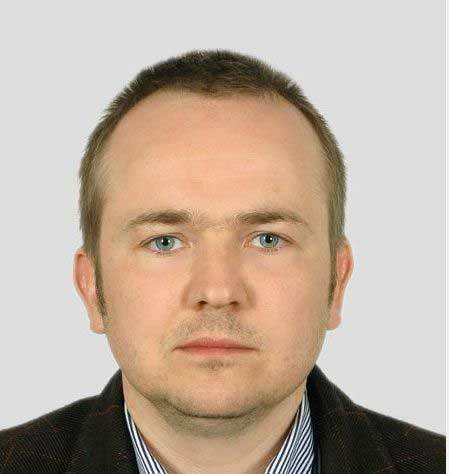 Serhiy Nyankovskyy – holder of Habilitation degree in Medicine, professor; head of the Chair of Pediatrics of Danylo Halytsky Lviv National Medical University; pediatrician of the highest qualification grade; member of the European Childhood Obesity Group; member of the European Society Pediatric Research. Robert A. Schwartz – MD, MPH, DSc (Hon), FRCP Edin, FAAD, FAADV (Hon), Professor & Head, Dermatology; Professor of Medicine, Pediatrics and Pathology, Rutgers New Jersey Medical School; Board of Directors, International Society of Dermatology; Honorary Professor, China Medical University; Honorary Member, 23 foreign dermatology societies: Ukraine, Italy, Czech, Poland, Bulgaria, Lithuania, Georgia, Latvia, Slovenia, Slovakia, Iran, Korea, Germany, Vietnam, etc, author/coauthor 5 books, 320 book chapters, 580 articles, 250 abstracts. 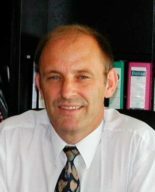 Oleksandr Serhiyenko – holder of Habilitation degree in Medicine, professor of the Chair of Endocrinology at Danylo Halytsky Lviv National Medical University, endocrinologist of the highest qualification grade; member of the Presidium of the Association of Endocrinologists of Ukraine, member of the European Society of Endocrinology, member of the European Association for the Study of Diabetes, member of the European Association “Diabetes and Cardiovascular Diseases”. 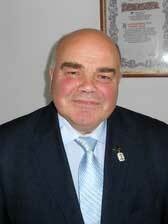 Mykola Shved – holder of Habilitation degree in Medicine, professor; head of the Chair of Internal Medicine No. 1 of I. Horbachevsky Ternopil State Medical University; general physician, cardiologist of the highest qualification grade; Honored Scientist and Engineer of Ukraine, member of the specialized academic council on “Internal Diseases”, “Cardiology”; member of the Presidium of the Association of Cardiologists and Arrhythmologists of Ukraine; member of the editorial teams and editorial boards of the journals “Galician Medical Bulletin”, “Ukrainian Journal of Cardiology”. 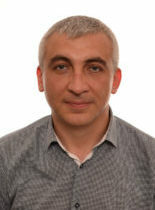 Yevhen Sklyarov – holder of Habilitation degree in Medicine, professor, head of the Chair of Therapy and Medical Diagnostics No.1 of the Postgraduate Education Faculty, Danylo Halytsky Lviv National Medical University, general physician of the highest qualification grade; Honored Doctor of Ukraine; member of the task group “Internal Diseases”; member of the specialized academic council on “Internal Diseases”, “Cardiology”. 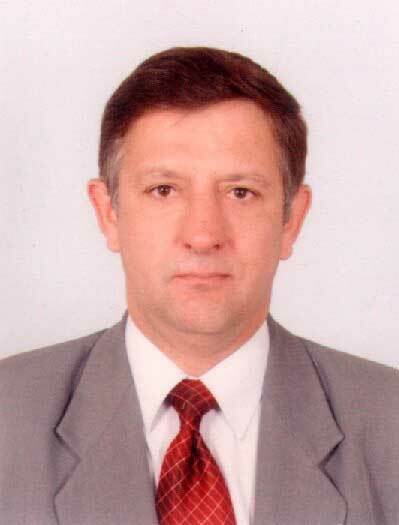 Mykola Stanislavchuk – holder of Habilitation degree in Medicine, professor, head of the Chair of Internal Medicine No. 1 of Vinnytsya National Pirogov Memorial Medical University, general physician-rheumatologist of the highest qualification grade. 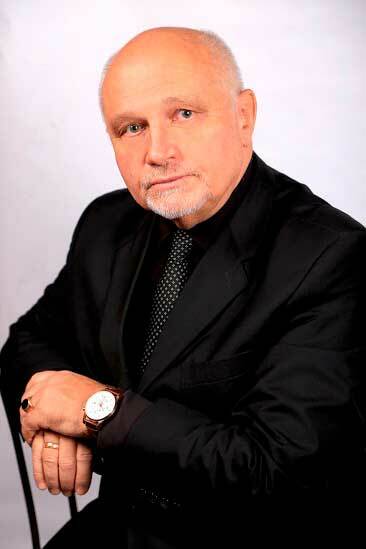 Anatoliy Svintsitskyy – holder of Habilitation degree in Medicine, professor, academician of the Higher School Academy of Ukraine; head of the Chair of Internal Medicine No. 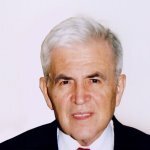 3 of the O. O. Bogomolets National Medical University; general physician of the highest qualification grade; member of the Albert Schweitzer World Academy of Medicine; member of the Polish Academy of Medicine; chief editor of “Practitioner” journal. 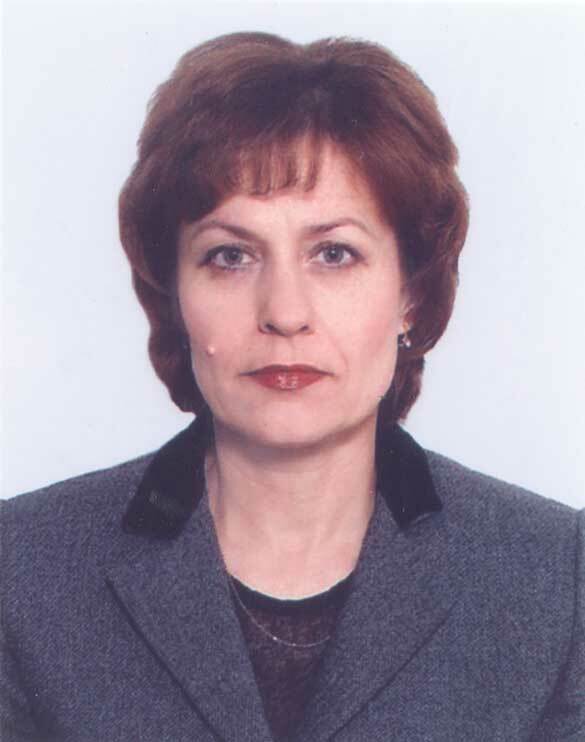 Olena Radchenko – holder of Habilitation degree in Medicine, professor, head of the Chair of Internal Medicine No. 2 at Danylo Halytsky Lviv National Medical University, member of the Presidium of Society of Therapists of Ukraine, general physician of the highest qualification grade; member of the task group “Internal Diseases”, member of the specialized academic council on “Internal Diseases”, “Cardiology”. Jan Vares – holder of Habilitation degree in Medicine, professor; dentist-surgeon of the highest qualification grade; head of the Chair of Dental Surgery and Maxillofacial Surgery at Danylo Halytsky Lviv National Medical University; member of the Dental Association of Ukraine, Implantologists Association of Ukraine; member of the European Faculty; the official lecturer of the World Association of Craniomaxillofacial Osteosynthesis (AO CMF). 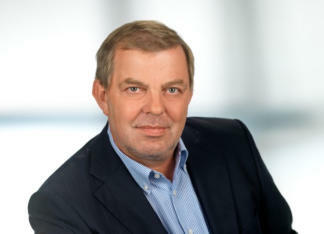 Roman Dutka – holder of Habilitation degree in Medicine, professor; general physician of the highest qualification grade; head of the Chair of Propaedeutics of Internal Medicine No. 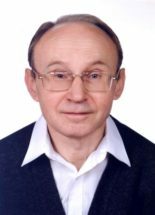 1 of Danylo Halytsky Lviv National Medical University; Honored Doctor of Ukraine; member of the Association of Internists of Ukraine; member of the specialized academic council on “Internal Diseases”, “Cardiology”; member of the task group “Internal Diseases”. 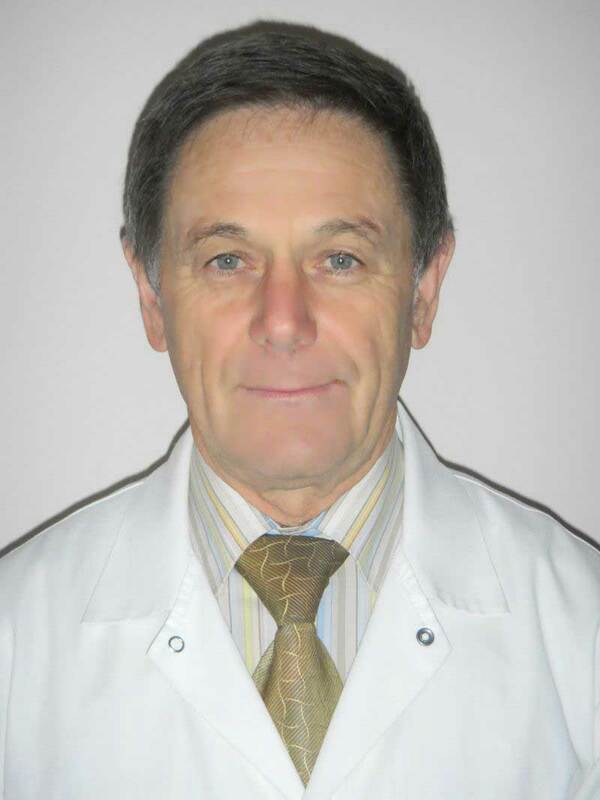 Taras Hanych – holder of Habilitation degree in Medicine, professor; head of the Chair of Intermediate Level Therapy of Uzhhorod National University; general physician of the highest qualification grade; member of the specialized academic council on “Internal Diseases”, “Cardiology” of Danylo Halytsky Lviv National Medical University. 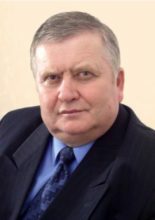 Oleg Hnateyko – holder of Habilitation degree in medicine, professor of the Chair of Propaedeutic Pediatrics and Medical Genetics at Danylo Halytsky Lviv National Medical University, academician of the Higher School Academy of Ukraine; pediatrician-geneticist of the highest qualification grade; Honored Professor of Danylo Halytsky Lviv National Medical University; Honored Scientist and Engineer of Ukraine; winner of the State Prize of Ukraine in the field of science and technology; director of the State Institution “Institute of Hereditary Pathology of National Academy of Medical Sciences of Ukraine”; head of the scientific society of medical geneticist of Ukraine and Lviv branch of the Association of Pediatricians of Ukraine; member of the Medical Commission of the Polish Academy of Sciences, European Society of Human Genetics; member of the editorial board of journals “Pediatrics, Obstetrics and Gynecology”, “Problems of Clinical Pediatrics”. 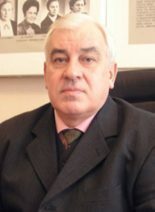 Oleg Korkushko – holder of Habilitation degree in Medicine, professor, academician of the National Academy of Medical Sciences of Ukraine, corresponding member of the National Academy of Sciences of Ukraine, corresponding member of the Russian AMS; head of the Department of Clinical Physiology and Pathology of Internal Organs, head of the sector of Clinical Gerontology of the State Institution “D. F. Chebotarev State Institute of Gerontology of the NAMS of Ukraine”; Honored Scientist and Engineer of Ukraine; winner of the State Prize of Ukraine; winner of the S. P. Botkin Award of the RAMS; winner of the M. D. Strazhesko Award of the National Academy of Sciences of Ukraine; winner of the D. F. Chebotarev Award of the National Academy of Sciences of Ukraine. 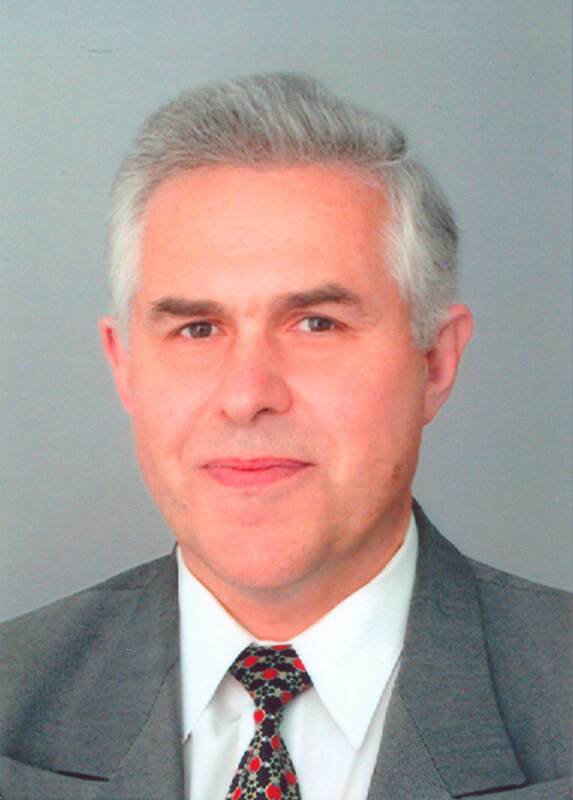 Boris Korsantia (Tbilisi, Georgia) – holder of Habilitation degree in Medicine, professor of the Chair of Tbilisi State Medical University. 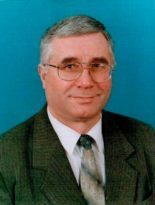 Pavel Kravchun – Honored Professor of KhNMU, Member of Academy of Sciences of Higher Education of Ukraine, Honored worker of science and technology of Ukraine, M.D., PhD, Professor; Head of Department of Internal Medicine N 2, Clinical Immunology and Allergology of Kharkiv National Medical University. 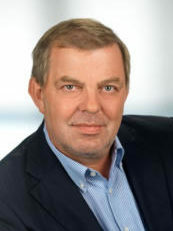 Burkhard Leeb (Vienna, Austria) – holder of Habilitation degree in Medicine, Doctor of Philosophy, 2nd Department of Medicine, Lower Austrian Center for Rheumatology; Lower Austrian State Hospital Weinviertel, Stockerau; Karl Landsteiner Institute for Clinical Rheumatology, Stockerau, Austria; Medical University of Graz, Austria. 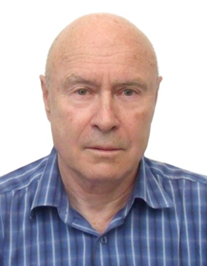 Walter Maksymovych (Alberta, Canada) – Professor in the Department of Medicine, Division of Rheumatology at the University of Alberta. 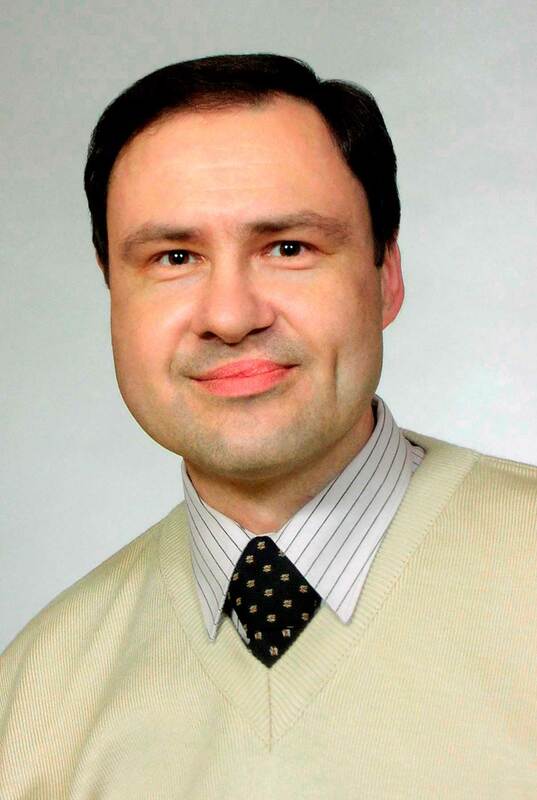 Oleksandr Nadraga – holder of Habilitation degree in Medicine, professor; head of the Chair of Children’s Infectious Diseases at Danylo Halytsky Lviv National Medical University; pediatrician of the highest qualification grade; member of the European Society for Pediatric Infectious Diseases (ESPID). 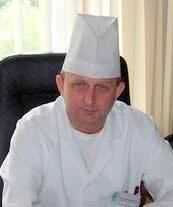 Vasyl Prysyazhnyuk – Doctor of Medical Science, Associate Professor of the Department of Propedeutics of Internal Diseases of the Higher State Educational Institution of Ukraine “Bukovinian State Medical University”; Member of European Association for the Study of the Liver (EASL), Ukrainian Gastroenterology Association. 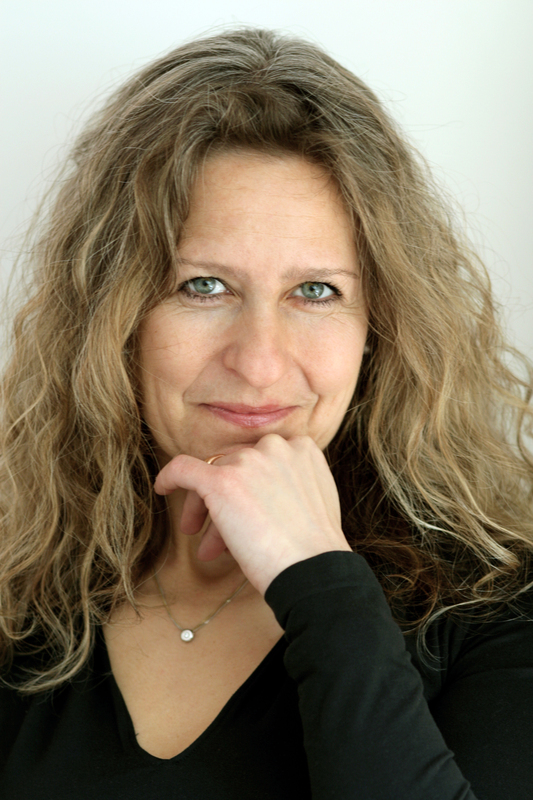 Judith Sautner (Vienna, Austria) – holder of Habilitation degree in Medicine, 2nd Department of Medicine, Lower Austrian Center for Rheumatology; Lower Austrian State Hospital Weinviertel, Stockerau; Karl Landsteiner Institute for Clinical Rheumatology, Stockerau, Austria. 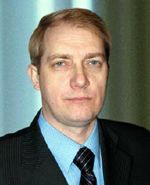 Andriy Yahenskiy – holder of Habilitation degree in Medicine, professor of the Chair of Family Medicine of the Faculty of Postgraduate Education at Danylo Halytsky Lviv National Medical University, member of the European Society of Cardiology; cardiologist of the highest qualification grade, member of the specialized academic council on “Internal Diseases”, “Cardiology” of Danylo Halytsky Lviv National Medical University. 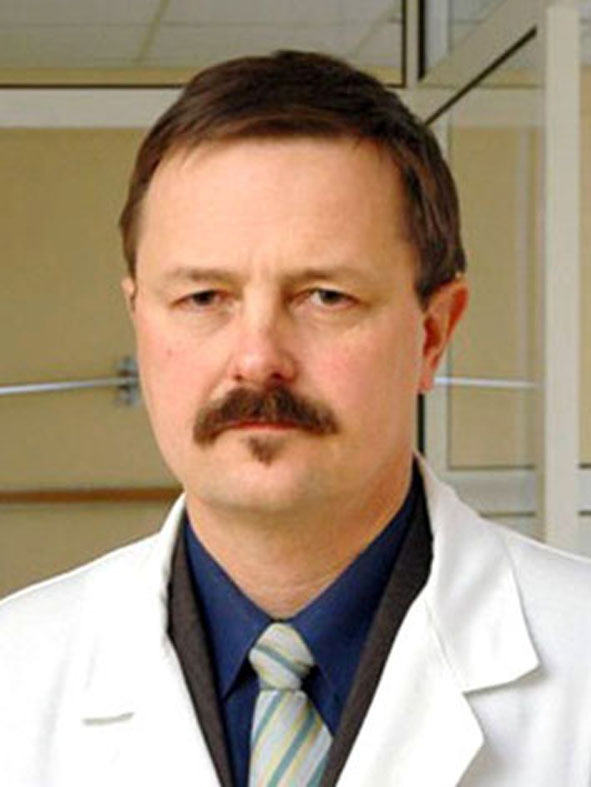 Oleksandr Zinchuk – holder of Habilitation degree in Medicine, professor, head of the Chair of Infectious Diseases at Danylo Halytsky Lviv National Medical University, head of the Lviv Regional Scientific and Practical Society of Infectious Disease Physicians, head of the task group “Internal Diseases”, infectious disease physician of the highest qualification grade. According to the idea of the editor-in-chief and his associates who are the members of the editorial board and council representing Ukraine, Western Europe and North America, this is exactly the format of the journal that will help clinicians of the different specialties to integrate, exchange scientific information, promote the resolution of the actual, fundamental, and what is especially important, applied acute problems of the modern medicine. “Lviv Clinical Bulletin” and its publisher “Kyrylytsya” follows the Code of Conduct and Best Practice Guidelines for Journal Editors and the Code of Conduct for Journal Publishers developed by the Committee on Publication Ethics (COPE). Authors, reviewers and editors follow the International Committee of Medical Journal’s Editors (ICMJE’s) Recommendations for the Conduct, Reporting, Editing and Publication of Scholarly Work in Medical Journals. Editors (together with the publisher and/or members of the society) must take appropriate measures when the ethical issues regarding the received manuscript or published document arise. Any report about the unethical publishing behaviour should be considered, even if it appears in years after the publication. “Lviv Clinical Bulletin” editors follows the COPE Flowcharts when considering suspicions of misconduct. If, during the investigation, an ethical problem is found to be reasonable, a correction, retraction, expression of concern or other note that may be relevant will be published in the journal. All articles received by the editors of the journal will be the subject of an open peer review (Review-form). The article will be first evaluated by the Editor-in-Chief on the subject of its relevance to the scope of the journal, as well as its quality. If everything goes well, the article will be sent to the reviewers (two competent in this area experts). Reviewers will classify the manuscript into the one of the four categories – accept with minor changes, accept subject to revision, as noted in comments, reject in current form, but may be resubmitted, reject, with no resubmission. The reviewers’ opinion, as a rule, contains recommendations for improving the manuscript and is provided to the authors. Rejected articles will not be reviewed again. The experts’ peer review based on volunteerism helps the editors to make the decisions, and through the editorial communications with authors may help them in improving their manuscripts. Peer review is an important component of formal scientific communication and is at the core of scientific activity. “Lviv Clinical Bulletin” shares the opinion of many that all scientists who want to contribute to the scientific process, are obliged to conduct a fair share of reviewing. Any reviewer who has conflicts of interest in accordance with competitive, cooperative or other relationships or relationships with any of the authors, companies or institutions associated with the manuscript and the work described therein must immediately notify editors to declare a conflict of interest and decline the review invitation so that the editors could invite the alternative experts. Unpublished material disclosed in the manuscript, submitted to the journal, should not be used in a reviewer’s own work without the written consent of the authors. Privileged information or ideas obtained through an expert review should remain confidential and not be used for the personal benefit of the reviewer. This applies also to reviewers who decline the invitation to review. Authors should make sure that they have written and submitted only fully original materials, and if they used the work, such as drawings, tables, and/or other people’s words, they were properly marked. Also, the publications that influenced the topic of the article should be mentioned. Plagiarism can take many forms, from the “presentation” of another article as the author’s own, to copying or paraphrasing the significant parts of another document (without attribution), to claiming the research results conducted by others. Plagiarism in all its forms is an unethical behavior of the author (-s) and is unacceptable. The journal “Lviv Clinical Bulletin” reserves the right to use software* for detecting plagiarism in the received documents and to make them public at any time. *Automatic checking of scientific texts is held using AntiPlagiarism.NET (the program is intended for checking of written texts, all pages of the necessary site and conducting the batch checking of all files from a folder), Viper (with the help of the program the text on many websites and in the press, which is published on the Internet can be checked. Search for a plug-in can also be done on the local disk of the computer, as well as the program can check two documents simultaneously and determine their level of similarity) and Advego Plagiatus programs (the program is intended to search for full or partial copies of text documents in Internet. It shows the degree of uniqueness of the text, the source of the text, the percentage of coincidence of the text, checks the uniqueness of the specified URL)** (responsible person – A. R. Vergun, PhD., Associate Professor of the Department of Family Medicine of Danylo Halytsky Lviv National Medical University). **Software for checking the scientific texts on plagiarism: information review / authors-compilers: A.R. Vergun, L.V. Savenkov, S.O. Chukanov; The editorial board: V. S. Pashkova, O. Voskoboynikova-Guzeva, Ya. E. Soshynska; Ukrainian Library Association. Kyiv: UBA, 2016. Electron. ed. 1 electron. optical disk (CD-ROM). 36 p.
Articles that describes, essentially, the same research, should not be published in more than one journal. Consequently, authors should not submit for consideration a manuscript that has already been published in another journal. The submission of the manuscript simultaneously to more than one journal is an unethical behavior of the author (-s) and is unacceptable. When authors find the significant errors or inaccuracies in their own published work, it is their responsibility to promptly notify the editors of the journal or publisher and collaborate with them to make the appropriate corrections or to retract the paper. If editors or publishers find out from a third party that published works contain the significant errors or inaccuracies, the authors’ obligation is to correct or revoke the document, or provide evidence to the editorial staff of its accuracy immediately. In cases of alleged or proven scientific misconduct, fraudulent publication or plagiarism, the publishing house, in close cooperation with the editors, must do everything necessary to clarify the situation and amend the relevant article. This includes prompt disclosure of errors, clarifications or, in the most difficult cases, retraction of the work. Publishers, together with editors, should make reasonable steps to detect and prevent the publication of documents that have committed a mistake during the investigation and under no circumstances encourage such unlawful actions and deliberately prevent such violations. Editorial Board of Lviv Clinical Bulletin is committed to real and immediate open access for academic work. All of the LCB’s articles and reviews are free to access immediately from the date of publication. There are no author charges prior to publication, and no charge for any reader to download articles and reviews for their own scholarly use. LCB is free to all at any time and in perpetuity. Lviv Clinical Bulletin operates under the Creative Commons Licence CC-BY-NC-ND. This allows for the reproduction of articles, free of charge, for non-commercial use only and with the appropriate citation information. All authors publishing with the LCB accept these as the terms of publication. Please note that copyright of the content of all articles and reviews remains with the designated author of the article or review. Copyright of the layout and design of LCB articles and reviews remains with the Lviv Clinical Bulletin and cannot be used in other publications. The journal has no article processing or article submission charges. The journal allows the author(s) to retain publishing rights without restrictions.